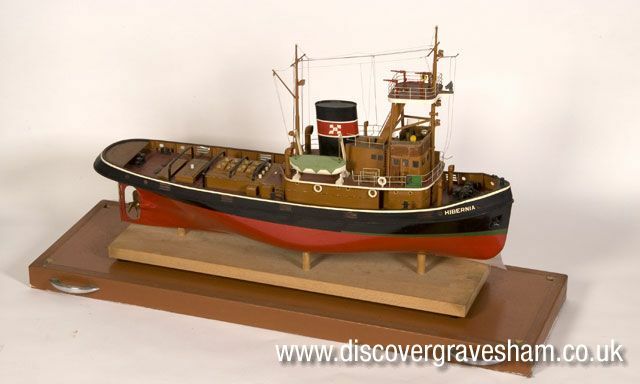 Model of Thames Tug Hibernia. Shipbuilders flourished during the Napoleonic and Crimean Wars when the Royal Dockyards could not keep pace with orders for new ships. 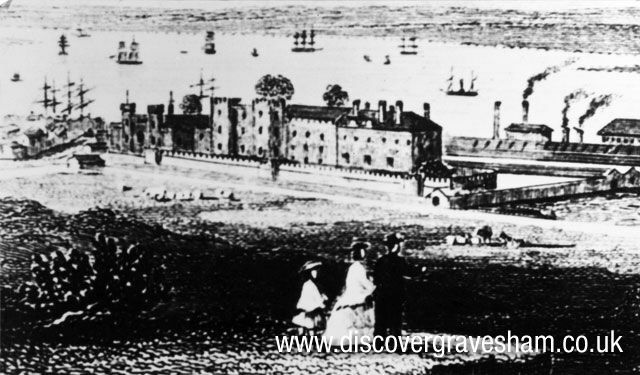 The first shipyard at Gravesend was established by William Cleverly in 1780, then eight years later Thomas Pitcher opened another yard nearby in Northfleet. They built wooden sailing ships for the Royal Navy and the East and West India Companies. 2000 men. This was their last major order and the yard closed in 1860. William Pitcher Built a grand gateway to the shipyard, reputedly with stone from London Bridge. Plans to build docks at Northfleet were abandoned. Tilbury docks , on the opposite bank of the river, were opened in 1886.